For other uses, see Paddington (disambiguation). 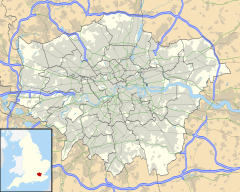 Paddington is a location in the London borough of City of Westminster, in central London.. It has a train station called Paddington station. ↑ "London's Places" (PDF). The London Plan. Greater London Authority. 2011. p. 46. Retrieved 27 May 2014. ↑ "Hermione Norris IMDB profile". www.imdb.com. Retrieved 10 August 2014. ↑ "Bellator 144: Michael Page aiming to be the new face of mixed martial arts in the UK". telegraph.co.uk. 23 October 2015. This page was last changed on 3 July 2018, at 07:38.